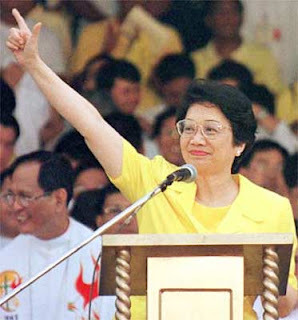 Former Philippine President Corazon Aquino, icon of people power in the Philippines and around the world, passed away at 3:18 a.m. Saturday, her son, Senator Benigno Aquino III, said. The official cause of death was cardiorespiratory arrest. She is a big loss for the people of the Philippines. May her soul rest in peace. Thank you Madam President!